Do you want something more for your family? Do you want them to be more, do more, and have more? Today’s guest on the Answers From Leadership podcast is Mark Timm. And he knows a little something about transforming your family by treating it like a business. Not only does Mark consider his FAMILY the most important business in the world. His family IS a business. 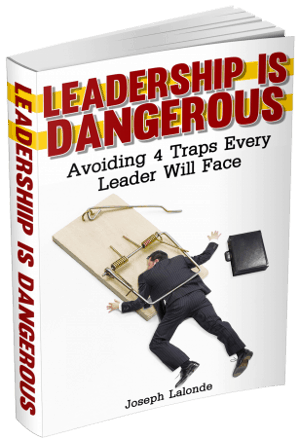 Listen to today’s Answers From Leadership podcast to hear the why and how behind this. 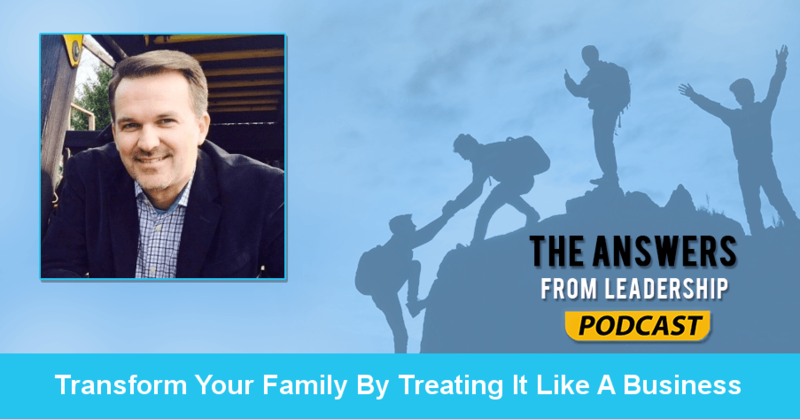 And listen to the end to hear about the Ziglar 7-Day Family Challenge. Mark, what else would you like listeners to know about you? I’m not looking for extra empathy here but it’s not just six of the coolest kids on the planet. They’re all teenagers right now. I love it. There’s nothing I love more than my family. It hasn’t always been this way. This is a decision I made about 5 years ago to take everything I knew about life and business and apply it to my family. How has your family changed since putting them first and foremost? It has changed my life forever in the fact that I’ve never looked at my family the way I did then which was that I was providing for them. I was doing what I was doing because I wanted to be a good husband or father. The reality is they needed me to bring the best of me to home. My family wasn’t getting the best of me. Now that they are, my kids are radically transformed. We started researching families and have interacted with over 3,000 families. We asked them a question and 98.5% of the families have said their family is the most important part of their lives next to their faith. However, we then asked them: Do you have written down goals for your family? That 98.5% drops to under 10%. Now if we ask do you have any family goals? It’s almost 100%. So they have goals and their families are the most important but they don’t have a single written down family goal. Then we go a step further. Most businesses have a mission statement. A mission statement tells you where you’re going. The target you’re shooting for. Yet less than 1% had a written family mission statement. Why do you think it is we don’t have written down goals for our families or family mission statements? Two things I’ve found in coaching families: Number one is people really do see the two worlds being further apart than they really are. They’re tired and the last thing they want to do is think like work. The second reason is because in business someone has created rules and processes and so they just have to follow those rules and processes. But at home those rules and processes don’t exist. The structure isn’t there. It’s a disconnect from two worlds. What it boils down to is a lack of clarity and confidence to do what they know they need to do. The people we surveyed know their family was created for something special. They know their family could do more, be more, and have more. They lack a plan to put it into place. How did you connect the two worlds of business and family? I sat down with a piece of paper and wrote down the non-negotiables. So we sat down and created a family mission statement. Then we turned around and did goals for our family. We also do meetings. I can’t function without staff meetings. I realized we weren’t having family meetings at home. We started having family meetings and when the kids started seeing the results, they began asking for family meetings. Can you tell us about the Ziglar 7-Day Family Challenge? We realized the real success, we want families to thrive not just survive, and in order for a family to thrive, they need balance. Zig Ziglar had 7 areas of life he used to talk about. He’d say if you have balance in these 7 areas, there’s nothing you couldn’t accomplish in life. We wanted to apply this to families. We had this vision where we said: What if we identified an expert in each of these 7 areas and we went to them and asked them if you had 5 minutes with a family, what of your life wisdom would you offer to these families? For financial, the guy we circled was Dave Ramsey. The guy is gold when it comes to financial advice for families. If you’ve heard of the book The 5 Love Languages by Gary Chapman, Gary Chapman is the guy who’s delivering the challenge for relationships. In fact, we have Tony Dungy for work-life balance. He has TEN kids! He’s found a way to balance his work and business life. For the Ziglar 7-Day Family Challenge, how much time should families set aside to complete the daily challenge? We figured out a video of 10 minutes is really all we can ask families to do. They need 10 minutes to watch the challenge and then 10 seconds to accept the challenge. If they watch the challenge, accept the challenge, then we’re going to ask them to share the challenge. Ask people to come alongside them. As we wrap up, do you have any parting words of wisdom? I want to challenge everyone listening to look at the people around them and be an inspiration for the greatness that is in everyone. Our families were created to be more. Our families were created to do more. And our families created to have more. It’s our job as leaders to figure out what that MORE is. Then once we figure out what that MORE is, put a plan in place to do something about it. Zig Ziglar used to say the way to get to step 2 is to take step 1. So, accepting this Ziglar 7-Day Family Challenge I’m throwing out there is step 1. Step 2 is to find out what the more is your family was put on this earth to do. Step 3 is to get involved in a community of accountability to make it happen. We weren’t put on this earth to be alone as people. Or as family. We were created to be in community. I want more for my wife and I. I want to see our family be more, do more, and have more. Do you want your family to be more, do more, and have more too? Would you like to see your family THRIVE rather than just exist? Then join the Ziglar Family Challenge. The challenge is FREE and it will radically transform your life! So sign up today.